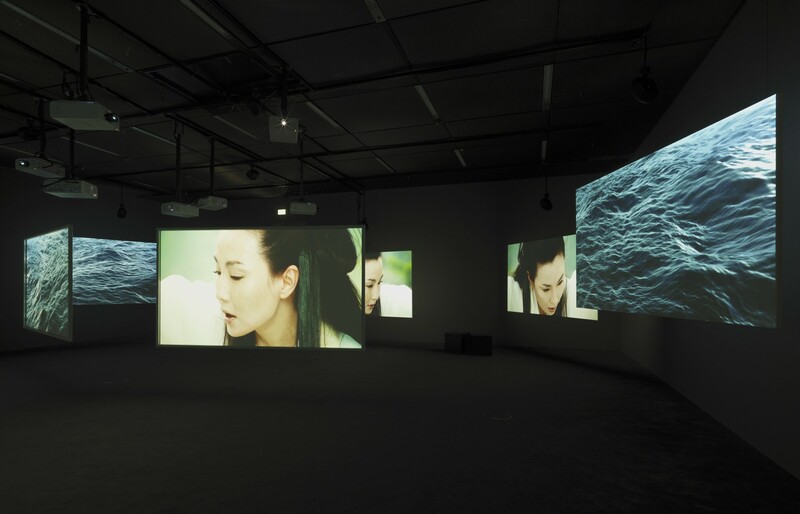 Ten Thousand Waves is a 9-channel video installation which the artist worked on for almost four years. The main scenes were filmed in China under participation of several internationally-celebrated actresses including the legendary Maggie Cheung and Zhao Tao. The video artist Yang Fudong, as well as the poet Wang Ping and calligraphy grandmaster Gong Fagen also stood before the camera. The starting point for Julien was a Chinese legend concerning the goddess Mazu whose special powers include the safe escorting of those imperiled at sea to quieter shores. Clips of old photographs conjure up this story; however, Julien relocates the main character, played by Maggie Cheung, to modern-day China where scens are repeatedly filled with tumultuous traffic jams in Shanghai. These are contrasted with wonderful riverscapes, bordered by bamboo forests and sandstone mountains, in which a few river boats have gone astray. A second storyline focuses on the deaths of 23 illegal Chinese immigrants in England who worked as cockle pickers. Being unfamiliar with the tide times of the Atlantic Ocean, they perished in 2005 during the incoming spring tide. Mazu was unable to help with this situation. The only thing that "survived" the tragic accident was a major media response. A third level is manifested in sequences that relate to the first decades of the 20th century when Shanghai was granted special status, enabling the production of important like, among others, The Goddess, which traces the fate of a young unemployed woman who turns to prostitution in order to support herself and her child. In Julien's version, which evokes the atmosphere of the 1930s, this role is played by Zhao Tao. With Ten Thousand Waves Julien resolutely continues to make use of those elements that already characterize his earlier works (including 'Western Union: small boats' in the collection of the Museum Brandhorst)/ His video installations all address aesthetic, social and psychological aspects of various living environments in which Western idea of global culture are partly questioned and partly formulated in a new way. 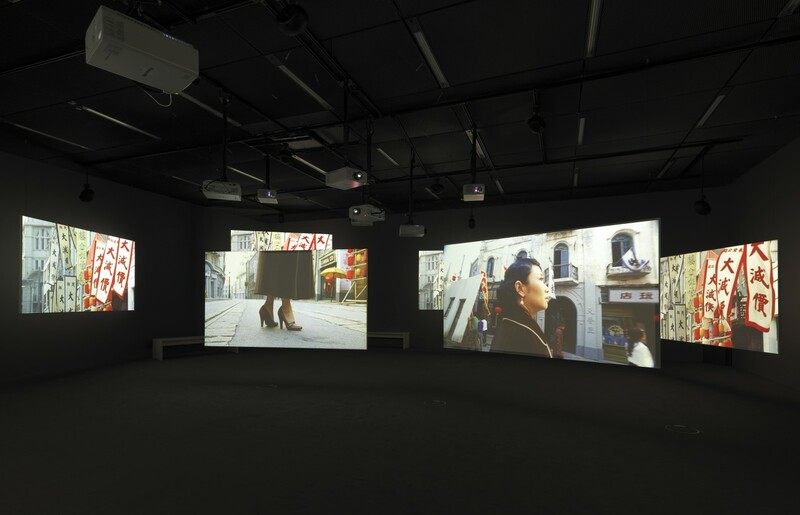 It is, as it were, the interleaving of post-colonial strategies with post-structuralist rudiments that assigns Isaac Julien's oeuvre the outstanding role it has achieved within the spectrum of contemporary art.